We thought it was time we introduced you to Bumble. 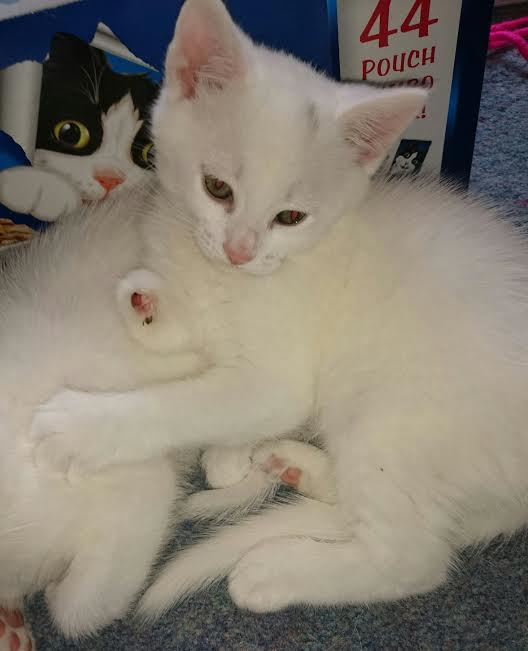 Bumble is coming up to 9 weeks of age and whilst his siblings will be going off to their new homes. Bumble is facing major surgery. When he was found in a shed with his mum and siblings it became clear that he had suffered some trauma to his front and back legs. We dread to think what happened but Bumble will be needing to have a total amputation of his front leg and the removal of a digit from his back paw. He is a strong and healthy little boy but the operation is estimated to be between £400-500. http://mkcatrescue.blogspot.co.uk or a donation of kitten food would be gratefully received. Next ›What’s that you say Bumble…..